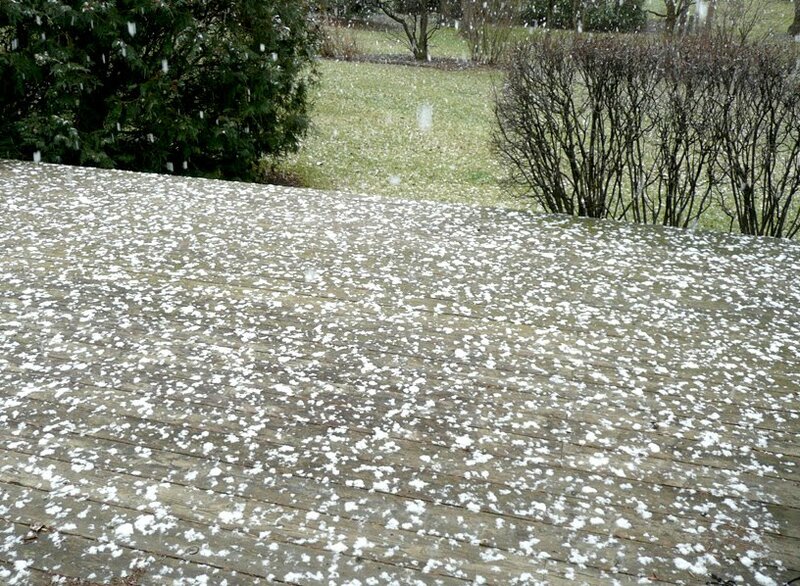 Yesterday we had a snowfall which lasted for about 5 whole minutes. 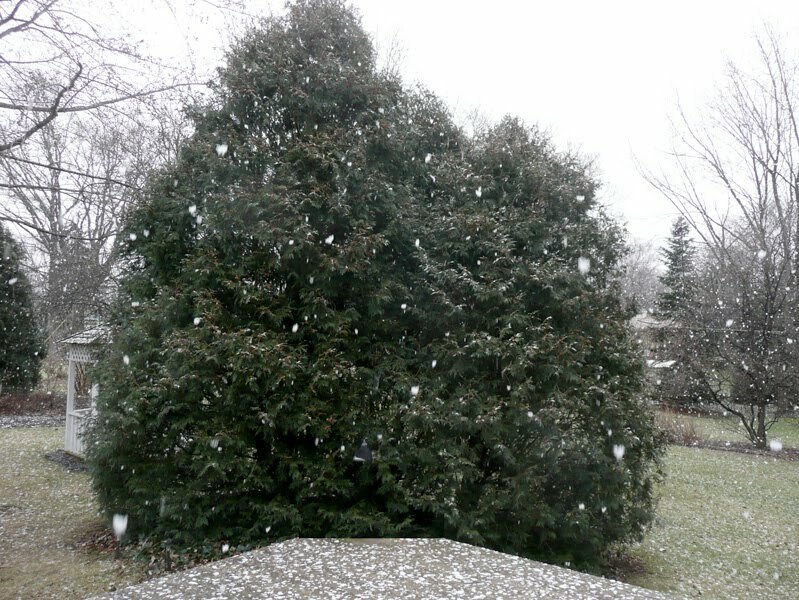 There wasn't much snow and none of it stuck to the ground, but the snowflakes were HUGE! I wish my camera could have captured the way it looked better than it did. 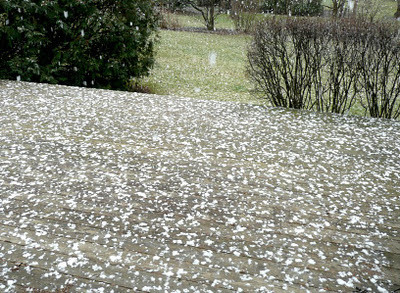 Here is what it looked like collecting on my deck. 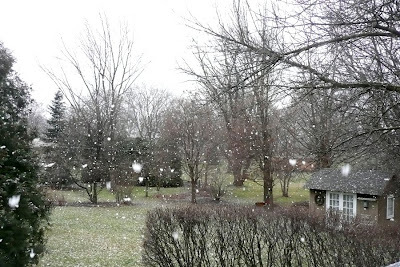 It looked as though cotton balls were falling from the sky - that's about the size the flakes were! 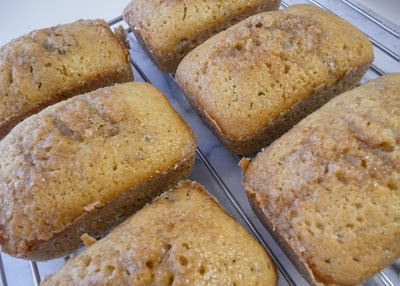 And while all that BIG snow was falling, I decided to whip up a batch of nut breads to give away for Christmas! I'm jealous! we only had rain! where's my white christmas?!? !